Are you ready for tighter, better-fitting skin? Ultherapy is a non-invasive rejuvenation treatment for the face, neck and cleavage that stimulates your own collagen to naturally lift from the inside. 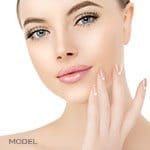 In an age of selfies and high-definition images, nonsurgical skin tightening is in high demand, and there’s one new technology that stands out for its safety and results, says MilfordMD Cosmetic Dermatology & Laser Center cosmetic dermatologist Richard E. Buckley, M.D. “We’ve recently added Ultherapy and patients are raving about it,” Buckley says. Ultherapy stands alone as the only FDA-cleared device that noninvasively lifts skin to elevate the eyebrows, tighten the skin on the neck and under the chin. Ultherapy is also FDA-cleared to diminish lines and wrinkles in the often hard-to-treat décolletage area, says Buckley, medical director of MilfordMD Cosmetic Dermatology Surgery and Laser Center. Nonsurgical skin tightening rose from the 9th to the 7th most popular procedure among nonsurgical cosmetic options. It secured the 5th spot for most popular procedures among men, according to statistics released March 8, 2016 by the American Society for Aesthetic Plastic Surgery. 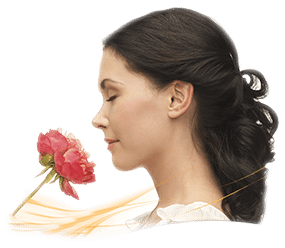 Does nonsurgical skin tightening take the place of a facelift? No, according to Buckley. But it does offer an option for those who might not be ready for a facelift, as well as others who want to look refreshed without having to endure surgery and the downtime associated with it. 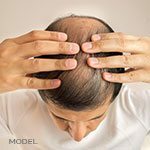 Patients see more definition and less sagging in the treated areas with just one treatment, which takes about 30 minutes and can be done in the comfort of the office. Results take shape during the three to twelve months post-procedure. And, while some may experience slight temporary bruising after the procedure, there is no downtime or recovery, which makes Ultherapy very convenient for patients according to Dr. Buckley. Patients should know, however, the treatment can be somewhat uncomfortable, if doctors don’t use certain techniques, Buckley says. The décolletage treatment option, which Ultherapy’s maker Ulthera announced in July 2014, was the first noninvasive procedure specifically indicated by the FDA to improve wrinkles and lines on the chest area.